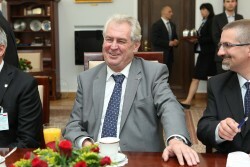 During the visit of the President of the Czech Republic, Miloš Zeman, bilateral economic relations were the focus of talks with Federal President Van der Bellen as well as at the Austrian-Czech Economic Forum in the Austrian Chamber of Commerce. The 38 year old Emir of Qatar, Sheikh Tamim bin Hamad Al-Thani, who 5 years ago ascended the throne as successor of his father Hamad bin Khalifa Al Thani and is now fighting under pressure of his neighbours, especially Saudi Arabia, for the survival of his monarchy, came to an official visit to Austria to talk about business. 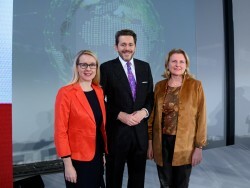 The representatives of the Economic Chamber and the Ministry of Foreign Affairs, Harald Mahrer and Karin Kneissl, have signed a Memorandum of Understanding with the Economic Chambers of the Western Balkan states Albania, Bosnia-Herzegovina, Kosovo, Macedonia and Montenegro. The aim is to strengthen regional cooperation at the economic level, particularly in the area of dual vocational training. The Board of Governors of the OeNB Austrian National Bank has published a recruitment announcement for the new central bank governor, vice governor and two members of the Management Committee. Applications can be submitted until 5 December, according to the official gazette of the "Wiener Zeitung". In his inaugural speech, the new President of the Austrian Federal Economic Chamber, Mahrer, calls for more leeway for companies and the further development of the social partnership into a partnership for the future and announces an education offensive. 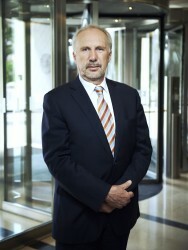 Harald Mahrer, President designate of the WKO Austrian Federal Chamber of Commerce, will take over from acting President Christoph Leitl on 18 May.